On January 15, 2019 the World Bank Group launched its Action Plan on Climate Change Adaptation and Resilience. Under the plan, the World Bank Group will ramp up direct adaptation climate finance to reach $50 billion over FY21–25. This financing level—an average of $10 billion a year—is more than double what was achieved during FY15-18. The Action Plan on Climate Change Adaptation and Resilience forms part of the World Bank Group’s 2025 Targets to Step Up Climate Action, which were launched in December 2018 during the UN’s COP24 in Poland. Implementation of the Action Plan on Climate Change Adaptation and Resilience will begin June 30, 2021, and will end July 1, 2025. 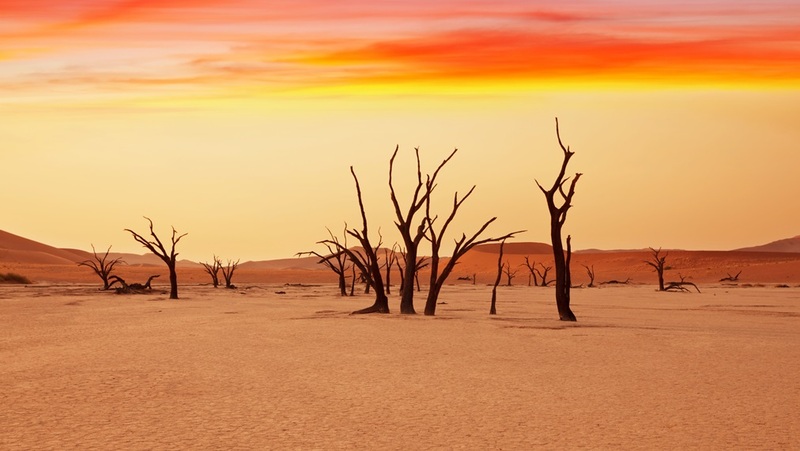 Photo of desertified farmland in Namib via Adobe Stock. See the Action Plan on Climate Change Adaptation and Resilience (PDF). See World Bank Group website.